we don’t pick up a pen and write like we used to, but the written word is more common now than ever before. With the Internet, mobile phones and apps, social media and blogs, the written word is more popular than ever, it’s just that it’s less likely to be written by hand and more often produced by the touch of a button. 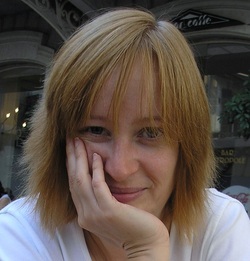 Andrea Billen is a freelance proofreader, editor, copywriter and communications consultant. She can take what you've written and get it into shape by correcting spelling mistakes, rewording sentences and changing grammar and punctuation. She has experience of proofreading and editing a wide variety of manuscripts, both fact and fiction, providing appraisals and writing articles, blogs, book blurbs, reports, CVs and all manner of written material. Alternatively, if you want to get a message out, but you're not sure of the best way to do it, she can consult with you and come up with some ideas. Her editorial service qualification comes from Chapterhouse, the well-regarded training and correspondence course provider, and her experience spans many years of working with authors, publishers and businesses on manuscripts, newsletters, e-books, websites, blogs and business projects. Blue-chip companies in financial services and careers advice industries have benefited from her help and assistance as well. If you would like to discuss any aspect of the Written Matters service please don't hesitate to get in touch with us.